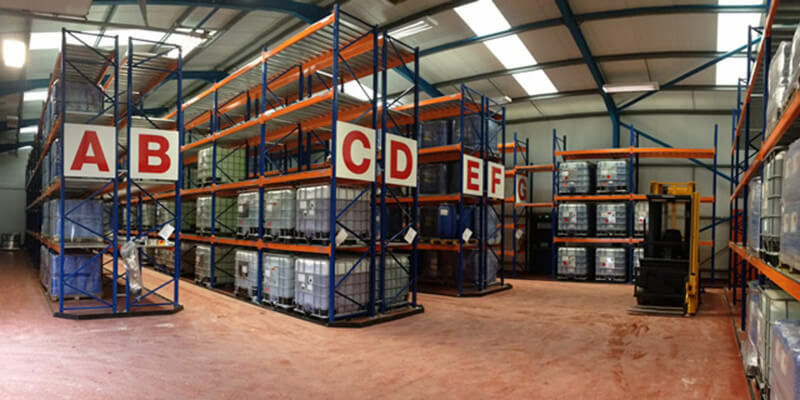 Keighley-based Airedale Chemical is one of the UK’s fastest growing chemical manufacturers, suppliers and distributors. They recently awarded Quickline an order to supply and install pallet racking to their newly acquired building. The warehouse which is adjacent to Airedale’s current site is ideally located to help them achieve their expansion programme. The racking is based around a VNA truck and all the beam levels include galvanised steel panels for extra support. The system provided an additional 700 pallet locations of storage.